All Web addresses mentioned were functional as of 5-12-17. From the Cumberland Gap to the Atlantic Ocean, this is Virginia Water Radio for the week of May 15, 2017. The tune of “On Top of Old Smoky,” a traditional song associated with the Great Smoky Mountains, sets the stage to learn about an annual exploration of Great Smoky Mountains National Park. 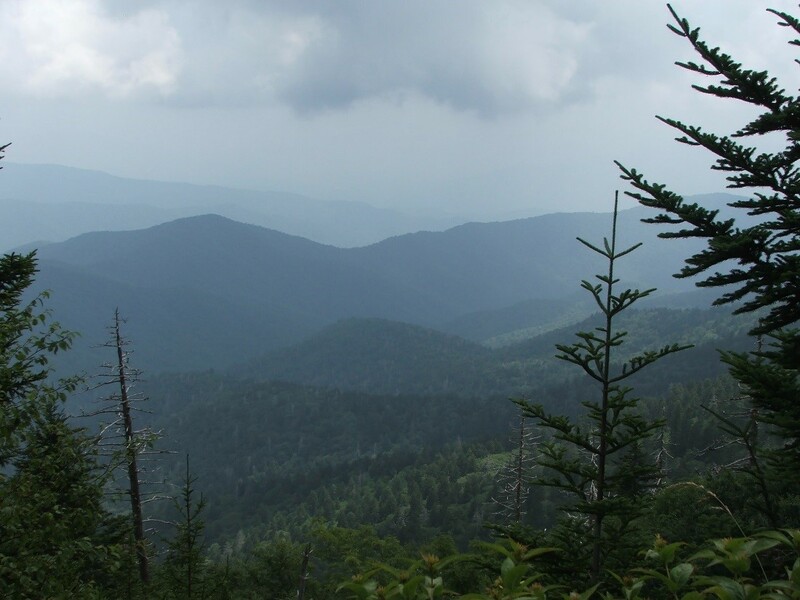 Each August, a week-long field course called “Natural History of the Great Smoky Mountains” focuses on the park and its biodiversity, with connections to the landscape, water resources, climate, and human heritage of the Southern Appalachian region. Virginia participants in the course are led by Dr. Don Linzey, of Virginia Tech’s Department of Fish and Wildlife Conservation. Don joins me now. INTERVIEW - ~3 min./20 sec. Virginia Water Radio – Don, welcome and thank you for joining me. Don Linzey – Thank you, Alan. It’s a pleasure to be here today. Virginia Water Radio – 2017’s the 12th year that you’ve taken students to Great Smoky Mountains National Park. What are your main goals in going there every year? Don Linzey – Well, it’s a unique course both to Virginia Tech and to the Smokies. The object is to provide a learning experience—a seven-day experience living within the park—and to provide a high-quality educational opportunity for not only students but anyone interested in natural history. I have several master naturalists going with us this year. So, it’s a course that’s open to classroom teachers and anyone who’s interested in natural history and particularly the Great Smoky Mountains National Park. Virginia Water Radio – What are some of the key park features that you use when you’re there? Don Linzey – We do a variety of things. This year I’ll be taking students to the Twin Creeks Science Center; we’re going to have a tour of the center and see all the natural history collections. We’ll be taking some hikes to some waterfalls. We’ll go up to the highest point in the park, which is Clingmans Dome. We’ll talk about the various forest types, as we pass through cove hardwood and hemlock and get up into the spruce-fir zone. 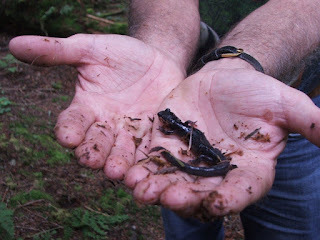 I will find some Red-cheeked Salamanders, which are an endangered species found only in the Great Smoky Mountains National Park. On some other days, we’ll be going out to Cades Cove, which is the lowest elevation in the park. We’ll go out during the day and have a park ranger interpret a number of the cultural features and the history of Cades Cove. We’ll go out at night and be looking [for wildlife]; last year we saw coyote, and deer. Probably we’ll stop at a place called Gregory’s Cave and see the bats. So we do a variety of different things. Virginia Water Radio – How did you happen to focus much of your career on the Smokies? Don Linzey – The park was dedicated by President [Franklin] Roosevelt in September of 1940. My parents happened to go to the park in September 1940. My mom made a scrapbook, and I always loved that scrapbook. I always wanted to go to the park, so they took me there for my high school graduation; that was my first experience. Then when I went to Cornell University and started working on my Ph.D. degree, I decided to work on a small mammal in the Smokies about which very little was known. I went to the Smokies in 1963, I guess; I was a park ranger-naturalist for a couple of summers. And I met Arthur Stupka, who was the very first park naturalist. And he was compiling all of his data from the 30-some years he was in the park and writing books on the birds of the park, amphibians and reptiles, the trees and woody shrubs. He didn’t have time to pull together the mammal information, so he asked if my wife and I would do that, which we did. And we published a book on the mammals of the Great Smoky Mountains National Park several years later, we dedicated it to Arthur Stupka, and the rest is history. I have since written a book on the natural history of Great Smoky Mountains National Park, which happens to be the textbook that we use for this particular course. Virginia Water Radio – Well, Don, it sounds like a fantastic place to be and a great course. Are there any other final comments you’d like to make about it? Don Linzey – Well, just for the students. They can get three hours of college credit in one week’s time. In the final evaluations, students say [the following]: “It’s one of the best experiences ever”; “very educational”; and “it’s amazing—I kept forgetting it was a class because it was so much fun.” It’s a very informal but a very educational course. Virginia Water Radio – And I believe there’s a discount for seniors, is that right? Don Linzey – Senior citizens over 60 can take courses for free. And then there’s a discount for teachers. Virginia Water Radio – Well, thank you very much, Dr. Don Linzey, of the Virginia Tech Department of Fish and Wildlife Conservation. The interview with Don Linzey was recorded May 9, 2017, in Blacksburg, Va. The version of “On Top of Old Smoky” heard in this episode was recorded for Virginia Water Radio in March 2017 by Kathie Hollandsworth (bass) and John Hollandsworth (autoharp). Stream in Great Smoky Mountains National Park, August 2014. Red-cheeked (or Jordan's) Salamander, found on hike to Clingmans Dome in Great Smoky Mountains National Park, August 2014. Mountain view in Great Smoky Mountains National Park, August 2014. Following are some excerpts from A Natural History Guide to Great Smoky Mountains National Park, by Donald W. Linzey, University of Tennessee Press, Knoxville, 2008 (pages 21-23, 29, 51, 97, and 161). George Ellison, “A Great Observer of the Smokies,” Smoky Mountain News, 10/21/09, online at http://www.smokymountainnews.com/archives/item/1616-a-great-observer-of-the-smokies. This article describes the career of Arthur Stupka (1905-1999), the first naturalist in Great Smoky Mountain National Park. National Park Service, Great Smoky Mountains National Park, online at https://www.nps.gov/grsm/index.htm. Robert B. Waltz and David G. Engle, The Ballad Index, “On Top of Old Smokey,” online at http://www.fresnostate.edu/folklore/ballads/BSoF740.html. SongFacts, “Old Smoky by The Weavers,” online at http://www.songfacts.com/detail.php?id=10429. Virginia Tech Continuing and Professional Education/Lifelong Learning Institute, “Audit College Classes for Free,” online at http://www.cpe.vt.edu/lifelonglearning/audit.html. Virginia Tech Department of Fish and Wildlife Conservation, “Donald Linzey—Instructional Faculty,” online at http://www.fishwild.vt.edu/faculty/linzey/index.htm. Donald W. Linzey, A Natural History Guide to Great Smoky Mountains National Park, University of Tennessee Press, Knoxville, 2008. Donald W. Linzey, Mammals of Great Smoky Mountains National Park, University of Tennessee Press, Knoxville, 2001. Great Smoky Mountains Institute at Tremont, online at http://gsmit.org/. 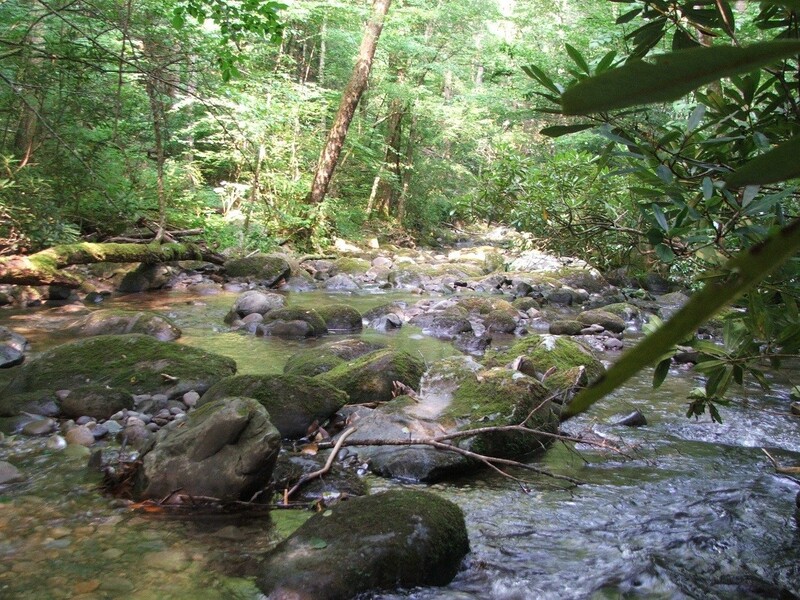 This environmental education center in Great Smoky Mountains National Park hosts the annual natural history field course described in this Water Radio episode, along with many of groups and activities. National Park Service, “Great Smoky Mountains/Cades Cove,” online at https://www.nps.gov/grsm/planyourvisit/cadescove.htm. National Park Service, “Great Smoky Mountains/Caves,” online at https://www.nps.gov/grsm/learn/nature/caves.htm. National Park Service, “Clingmans Dome,” online at https://www.nps.gov/grsm/planyourvisit/clingmansdome.htm. National Park Service, “Great Smoky Mountains/Researcher work space and collections,” online at https://www.nps.gov/grsm/learn/nature/workspace_collections.htm. This site describes the natural history collections and work at the park’s Twin Creeks Sciences and Education Center, which was mentioned in this Water Radio episode. All Water Radio episodes are listed by category at the Index link above (http://www.virginiawaterradio.org/p/index.html). There are several subject categories related to natural history and to biodiversity: Amphibians, Birds, Fish, Insects, Mammals, Plants, Reptiles, and Science. Episode 260, 4/6/15 – Biodiversity in Virginia and the Southern Appalachian Mountains. BIO.8 - dynamic equilibria and interactions within populations, communities, and ecosystems.